Sumus Hotels Group obtains adherence to the biosphere's commitment to sustainability, with which we take another step in ensuring the quality and sustainability of our touristic services. For us it is very important to offer a quality service and create a unique experience for your holiday, but at the same time we are aware that we should not neglect our environment: we continue to work together to ensure a sustainability, favoring the development of our environment by promoting the products and services of proximity, which helps to the development of the local commerce and to the environment. Therefore, at Sumus Hotels group we have obtained adherence to the distinctive on commitment for sustainability of Biosphere, with which we take another step in ensuring the quality and sustainability of our touristic services. 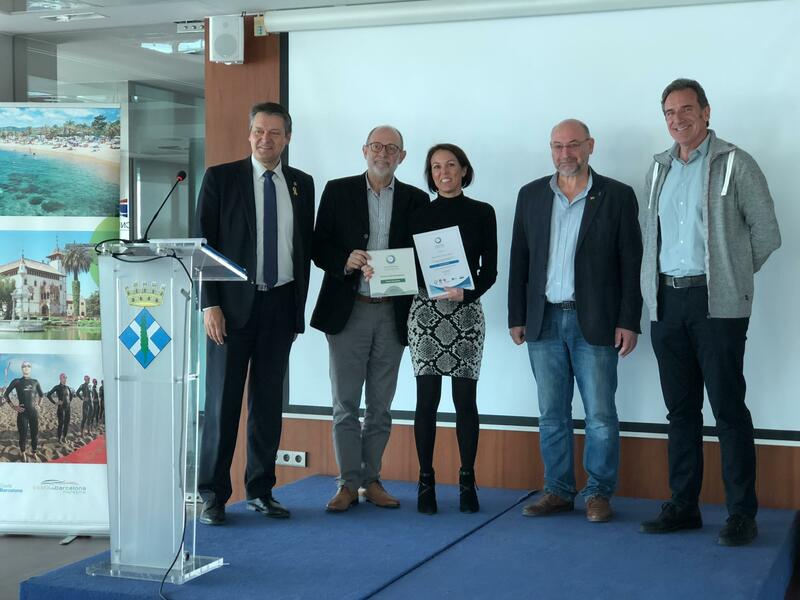 This distinction, promoted by the Demarcation of Barcelona for the Deputation and the Chamber of Commerce of the city, with a close support of the Consortium of Tourist Promotion of Costa del Maresme, through the Institute of Responsible Tourism (ITR), partner of the Organization World Tourism and the Global Sustainable Tourism Council, recognizes companies, services and destinations that show a commitment to sustainability and follow a handbook of good practices. Economic Growth, inclusive and sustainable. Social Inclusion and job creation. Efficient Use of resources and protection against climate change. Instruments for a responsible tourism policy. Mr. Albert Buch, director of Sumus Hotel Stella & Spa and Ms. Ivette Aymerich, commercial director of Sumus Hotels Group, receive biosphere certification on behalf of our establishments. We want to thank our team and our customers, who are the ones that make that every day we can continue to improve and grow in a sustainable and conscious way, in which we can take care of our environment and favor the local economy.